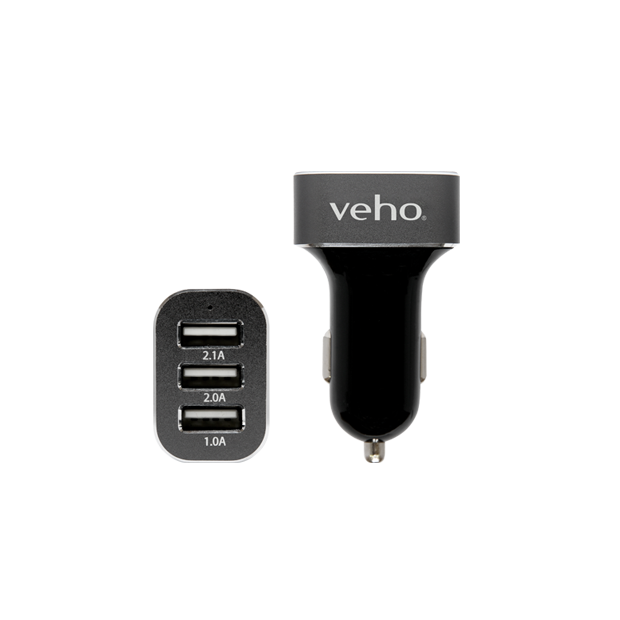 The Veho VAA-010 works with standard 12-18V vehicle sockets and has 3 separate USB ports, 1 x 2.1A, 1 x 2.0A, 1 x 1.0A meaning that not only can you charge more than one device at the same time, but the 2.1A output will safely charge up your smartphone device quicker than any standard USB travel charger. 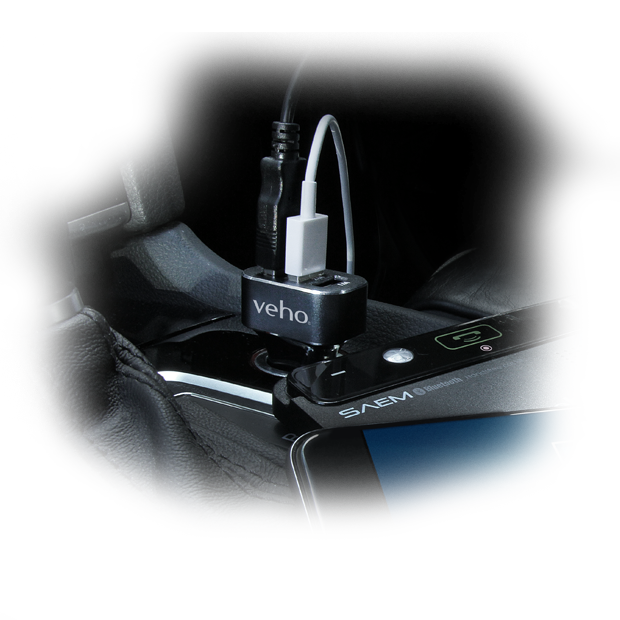 With built-in detection functionality to detect the correct device amperage and also safety features that will stop overheating, over current and over charging, your mobile device is protected whatever its specifications. 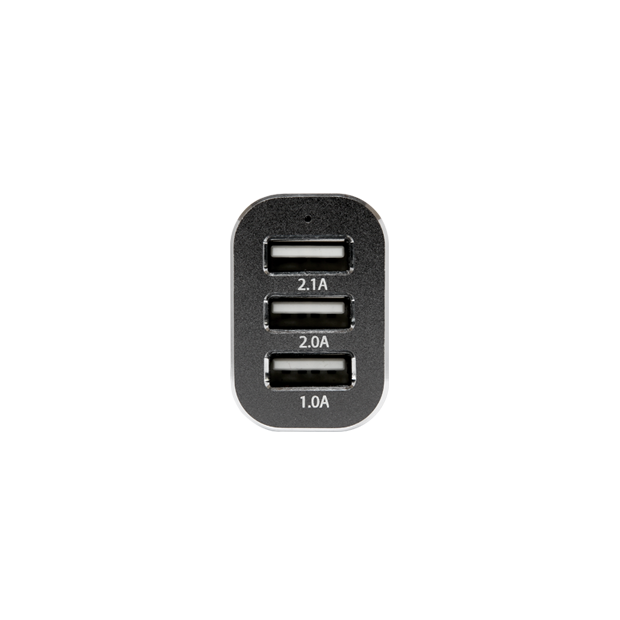 The 2.1A output will safely charge up your device quicker than any standard USB travel charger. Safety design feature to detect correct amperage and stop over heating or over charging of your device. 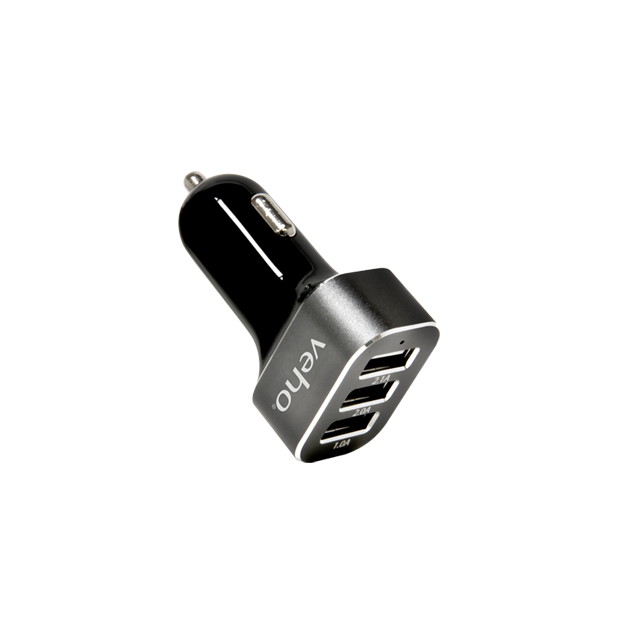 Smartphones, e-cigarettes, tablets, MUVI K-Series cameras or any other USB rechargeable device.